Just finished quilting and stitching the binding on this “Wandering Geese” quilt. I’m happy with how it has turned out. My decision to use a narrow dark border was a good one – the points of the triangles are intact and not hidden beneath the binding. 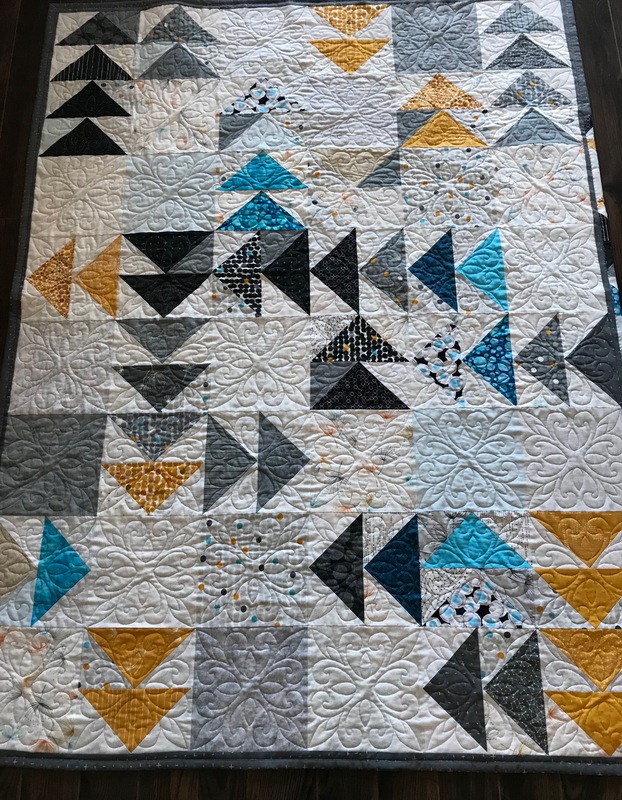 The back has more piecing than I usually do, but I had so many half-square triangles as a result of the way I constructed the flying geese I thought I should use as many as I could. Just need to hand stitch the label on the back. You really do such a wonderful job making the backs as beautiful as the fronts. 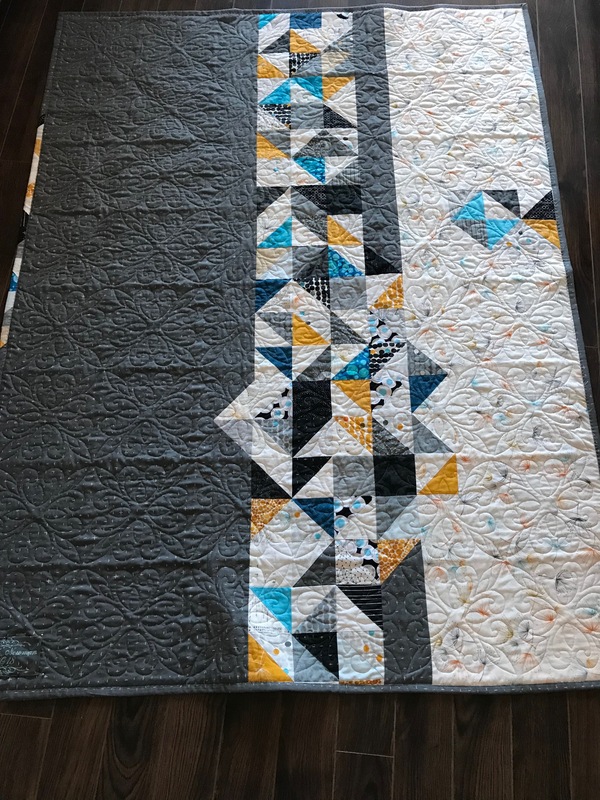 Honestly I don’t think anyone does 2-sided quilts as well as you do. Thanks. Mostly just being frugal. Used the HSTs from making the geese and two other fabrics.